Projector Lamps America - Replacement Projector Lamps, Projector Bulbs, TV Lamps and TV Bulbs at the lowest prices. It’s simple… We have the LOWEST PRICES and BIGGEST STOCK. Projector Lamps America is the leading low cost American supplier of replacement projector lamps and TV lamps. We're here to help our fellow Americans SAVE MONEY on high quality replacement projector lamps and TV bulbs. 99% of all our projector lamps and TV Lamp orders are processed and shipped within 24 hours. All our lamps ship daily from our New York warehouse. Projector Lamps America has grown to become the largest supplier of projector lamps and TV lamps in the USA. You can shop securely online and get the replacement lamp you need fast and hassle-free. 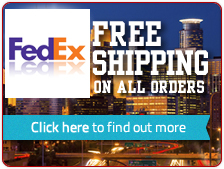 Even better, Projector Lamps America offers FREE DELIVERY anywhere in the US! No matter how many lamps you buy! As a leading supplier of projector lamps we offer the BIGGEST LAMP WARRANTY of 150 DAYS. All our projector lamps, projector bulbs and TV Lamps come complete with the housing, so it is simple installation. We give DISCOUNTS to Education and Government customers and ACCEPT PURCHASE ORDERS. To find your replacement projector bulbs or TV Lamps use the drop-down tool above (Step 1, and Step 2), or select your projector/TV manufacturer below. We’ve been in business since 1995 and know projector lamps better than anyone else. Just give us a call at 1-800-952-1462 (Se Habla Español), if you need any help or have any questions.